Lauren Silverman, a New York City attorney who handles cases in family court is somewhat ambivalent toward her ex-husband's new wife, Jessica. Her marriage to Brian had headed for the dumpster when she learned of his dalliances, but divorcing her to marry his mistress makes Lauren ill-tempered and terming herself the "wife-in-law." Since the split, Lauren and Brian's daughter, 16-year-old Emily developed an attitude problem and is in with the wrong crowd. Because of this and Lauren's strenuous work schedule, she sends Emily to live with Brian and Jessica in Westchester County, far enough from the city to hopefully keep her out of trouble. Lauren is relieved to have Emily with Brian, taking some stress off her shoulders. Then she learns Brian perishes in a fire in Miami and though there is no love lost for him, she worries what will happen to her and Emily, for they depend on his support. As time evolves, there are questions about Brian's demise. Was the fire an accident or premeditated murder? A glimpse into Brian's connections answers this query which isn't addressed until almost midway through the plot. After Brian's death, Jessica falls into a state of depression, and it takes Emily and Lauren to get her out of her funk especially after learning Steve Cohen, Brian's law partner, has become evasive about finances. Steve denies Brian's partnership and states the income Brian earned with the accounts set aside for his family belongs to the business. With the fear of becoming destitute, Lauren and Jessica connect, determined to go after what is rightfully theirs. Unknown to them both, Emily does some sleuthing on her own and ascertains her dad had been involved in some suspicious deals. Rather than inform Jessica and her mom of her findings, she vows to get to the bottom of things herself. In her father's desk at home Emily stumbles upon a thumb drive, thinking she may find information on it, but it is encrypted and she cannot open it. She knows Jessica has a key to Brian's office and pleads with her to go there to access his work computer. Her friend with a computer-savvy cousin named Tabu, help her. She discovers things about her father she really didn't want to know. Brian had been involved with his old acquaintance, Jordan Connors, who dealt with the crime lord Jorge Arena dealing in illegal gambling. Brian is dead and Arena and his men are looking for the 12-million dollars he allegedly absconded with. Though Jessica, Lauren, and Emily know nothing of Brian's shady connections they are now targets of these criminals. Though not technically breaking and entering, Jessica is nervous they will be caught. Emily boots up her dad's PC and contacts Tabu for help. "Emily spoke into the phone, 'It's downloaded!' A box appeared on the screen, asking whether to allow a person to control the computer remotely. . . .
". . . Emily let Tabu control the computer. She sat back and covered the phone mouthpiece again. 'He's cloning the encryption app then he can download all daddy's documents that are on the app onto the PC again. It will think we're daddy and come up unencrypted.'" "The cursor began moving as Emily's hacker started working remotely on Brian's computer. Programs flashed on and off at high speed. Taking instructions over the phone, Emily inserted the thumb drive into the PC. A document appeared written in what looked like hieroglyphics." Meanwhile, Jessica hears a noise in the deserted office just as Emily is receiving the material. "Emily opened her mouth to say something but a crash sounded from the door. A flood of light bleached her features. Jessica and Emily yelped in unison. Jessica grabbed Emily and turned toward the door, putting her body in front of Emily's. A group of silhouetted figures stormed in, guns grained on them. The overheads flared on. "A man shouted, 'Put your hands up, away from the desk. You're under arrest." This action proves Brian was into something very dangerous and sordid, and somehow Steve must be included in this mess, too. 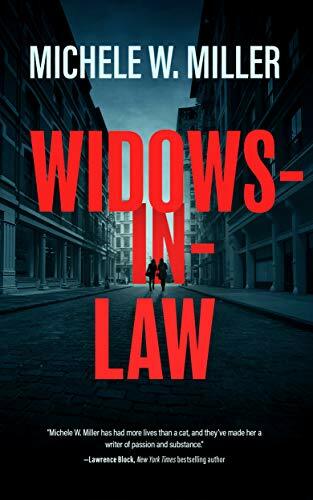 Offering insight into the workings of the judicial system, the FBI, and the underworld, this fast-paced and explosive novel is filled with intrigue. The three females live in terror and fight not only for their lives but for their due, unaware of the horror awaiting them from a man they once loved and who wronged them all for the sake of greed. In addition to the circumstances they face, the bombshell ending is completely unexpected.